Through our Community Partners and Retail Rebate Programs, you can support La Scuola while you shop! With each of the programs listed below, a portion of your purchases will be donated to the School at no additional cost to you. Some programs will also offer you a discount. Happy Shopping! For additional information or to add a program that benefits our community, please contact development@lascuolasf.org. AmazonSmile will donate 0.5% of the price of your eligible purchases to La Scuola. To start, create your account at AmazonSmile, click "Pick your own charitable organization" and select "La Piccola Scuola Italiana" as "Your charity of choice". If you are already an AmazonSmile user, sign in, go to "Your Account", click "Your AmazonSmile", click "Change Charity" and select "La Piccola Scuola Italiana". Bookmark the link AmazonSmile and use it for all your purchases. It's that time of year! While shopping for holiday cards, you can give back to La Scuola too! This November, we are partnering with Minted to help us fundraise. Shop minted.com using our promo code to give 15% back to our program—and enjoy 15% OFF your Minted order—all month long. eScrip will donate a percentage of your purchase to La Scuola when you shop online or locally, buy groceries or dine out, with hundreds of participating merchants. Go to eScrip, sign up for an account, and select "La Piccola Scuola Italiana" as your charity of choice. Register your credit cards to start shopping. Rainbow Grocery will donate 10% of purchases made with the Rainbow Scrip Card to La Scuola. Please contact development@lascuolasf.org to purchase the card; you can easily reload it directly at the store. 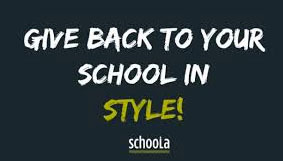 Schoola will donate 40% of the sales proceeds to La Scuola from quality clothing and accessories for babies up to adults that you give to the organization. Simply select donate to help to get a donation bag, and choose "La Scuola International School". Then fill the bag and place it at your front door for pick up. Shop With Scrip will donate up to 16% of purchases to La Scuola for all participating merchants offering a wide variety of products such as gas and groceries in-store and on-line. Purchases are paid with gift cards you buy on the website and pick up at La Scuola. 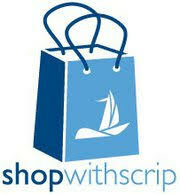 To start, set up your account at Shop With Scrip and enter the enrollment code: 1B3FEE2237349. Contact development@lascuolasf.org. 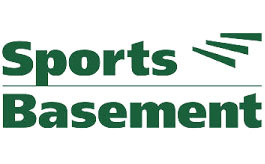 Sports Basement will offer you a 10% discount and donate 5% of your purchases to La Scuola when you mention "La Piccola Scuola Italiana" at checkout at any San Francisco location. 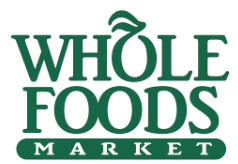 Whole Foods will donate 4% of all purchases made with the Whole Foods Shopping Card to La Scuola. Please contact development@lascuolasf.org to purchase shopping cards worth $10, $25, $50 or $100. The following programs are generously offered by our Community Partners who will make a donation to La Scuola when you purchase their products and services. PRMI Michael Koran, Division Manager and La Scuola Parent, will donate $500 to La Scuola for every closed loan transaction when hired or referred by a member of La Scuola community. PRMI, or Primary Residential Mortgage, is a mortgage banker with its own in-house underwriter and processor, which insures your loan is turned around quickly and efficiently. Contact Michael Koran. Sotheby's International Realty Grazia Bennett, Realtor and La Scuola Board Member, will donate ﻿10% of her net commission at the close of any transaction to La Scuola when hired by a parent, teacher or board member. She will also make a smaller gift to La Scuola at the close of a transaction if introduced by you to a buyer or seller who is part of your network outside La Scuola. She focuses on the San Francisco residential real estate market and works with both buyers and sellers in all price ranges. She is a member of TAN (top 10% agents in the city). Contact Grazia Bennett or visit www.linkedin.com/in/graziabennett. BarBack Are you throwing parties this season? Hosting family? You’ll need drinks - and BarBack can help! Shop BarBack and Shlomo Franco, La Scuola parent and owner of the company, will donate 10% of your purchase back to LaScuola! Please note the name of La Scuola when you sign up for these programs. We are in the process of updating the programs from our legacy name "La Piccola Scuola Italiana".